Jamaica's First UNESCO World Heritage Site - Blue and John Crow Mountains - Caribbean & Co.
Jamaica best known as the birthplace of reggae legend Bob Marley and the fastest man on the planet, Usain Bolt is now the 12th Caribbean destination with a UNESCO World Heritage Site. In total, there are 22 UNESCO World Heritage Sites across the Caribbean region. Jamaica joined the exclusive club this past July with UNESCO World Heritage Status being inscribed on Blue and John Crow Mountains which initially submitted their application for membership on 28th August 2006. After a nine-year campaign that at times was slow going, Blue and John Crow Mountain became one of only 32 UNESCO World Heritage Sites across the globe to be inscribed for meeting both natural and cultural criterias. In total, there are now 1,031 UNESCO World Heritage Sites across the world. Jamaica: Blue and John Crow Mountains – Nanny Falls. Photo: © Jamaica Conservation & Development Trust. 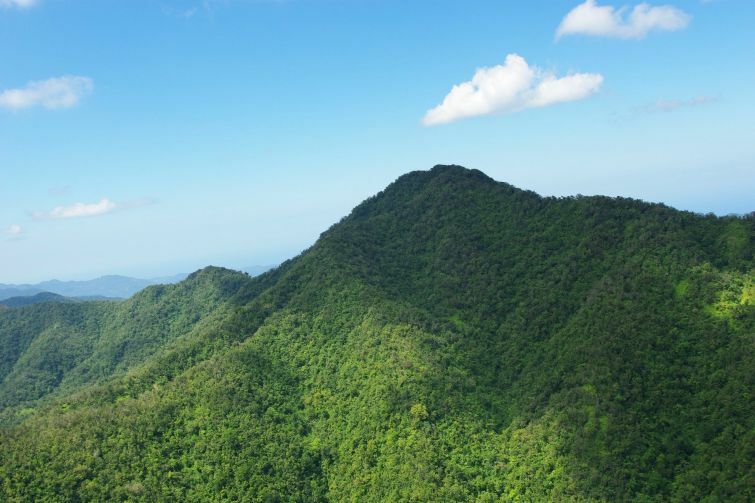 Blue and John Crow Mountains is part of a national park with 50,000 ha (about 100,000 acres) and covers the steep mountain slopes of ten watersheds along with straddling four parishes including: St Andrew, St Thomas, St Mary and Portland. The park encompasses three mountain ranges including Blue and John, Crow and Port Royal. It contains the highest peak in Jamaica — Blue Mountain Peak which is 2,246 metres (7,402 feet). The rainforest is diversified and a wildlife haven. Jamaica: Blue and John Crow Mountains – View of Blue Mountain Peak. Photo: © Jamaica Conservation & Development Trust. The rugged and extensively forested mountainous region of the Blue and John Crow Mountains which are on the southern part of the island, initially provided refuge to the indigenous Tainos fleeing slavery and then for Maroons (former enslaved peoples). In this isolated region, they were able to avoid the European colonial system through a network of settlements, hiding places and trails that now form the Nanny Town Heritage Route. With the rich biodiversity of the Blue and John Crow Mountains, they were able to develop a rich cultural legacy by relying on the mountains and all that it provided for shelter, food, medicine, etc. Today, there is a Blue Mountains Sustainable Tourism Programme “to deliver a high quality, world-class tourism destination that supports local communities and enhances conservation of the Blue and John Crow Mountains National Park and its environs.” To achieve their tourism mandate, there are a wide variety of cultural and natural heritage activities across the two main recreation areas that include: Holywell Portland Gap and the Blue Mountain Peak Trail. 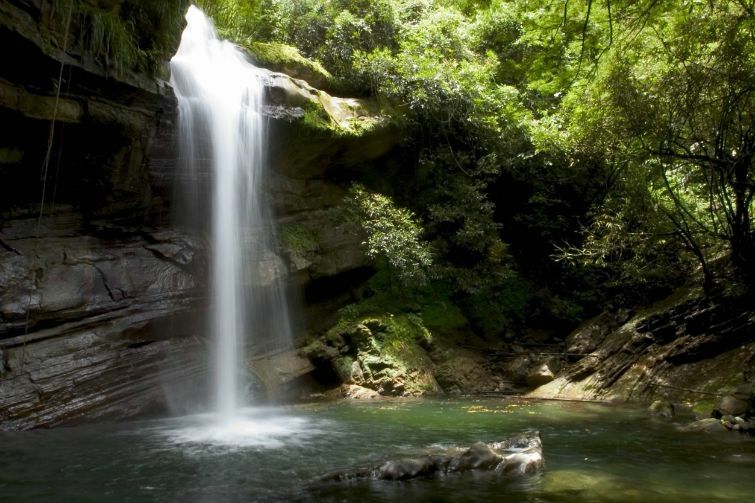 Climbers, hikers and bird lovers will revel in all the activities available at Blue and John Crow Mountains. It is a perfect destination in the Caribbean for outdoor enthusiasts and those who believe in sustainable tourism. 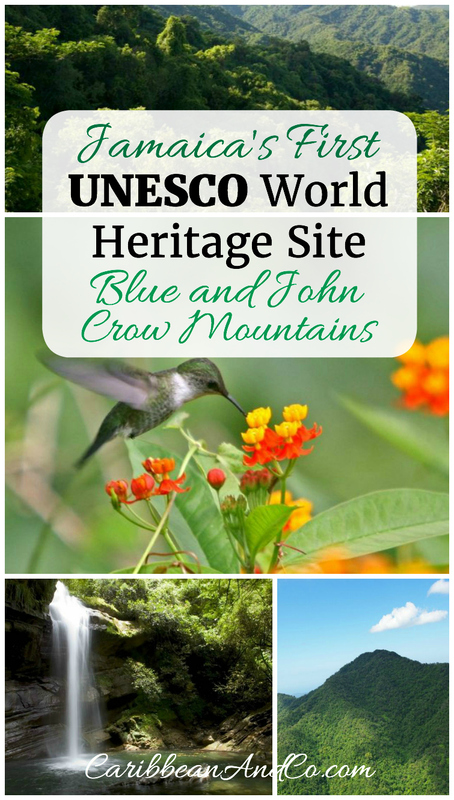 So find out more and consider booking a trip to visit Jamaica’s first UNESCO World Heritage Site: Blue and John Crow Mountains. 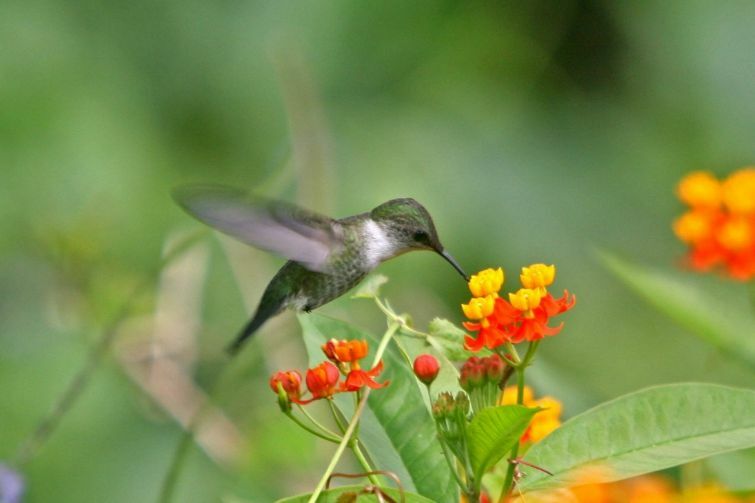 Jamaica: Blue and John Crow Mountains – Blackbilled streamertail Hummingbird. Photo: © R. Miller/Ministry of Youth and Culture.